This third night in Buenos Aires was not originally planned, but added later due to ticket demand. Queen revived Jailhouse Rock for this show. John has some fun in his bass solo in the fast We Will Rock You. 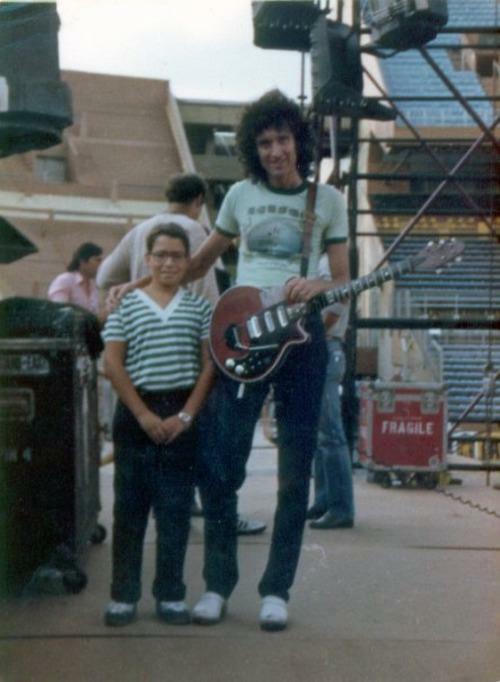 In his piano intro to Play The Game, Freddie plays a passage reminiscent of the beginning of In The Lap Of The Gods. Freddie delivers an incredible version of Somebody To Love tonight, complete with a vocal exchange with the audience in the intro - the first time he would do this. His ability to connect with audiences definitely grew throughout the year. Overall, this tour exemplifies Queen's intensity and sheer power as a live band. Freddie adds "Oh yes he is" after Roger professes "I'm in love with my car," like he did in Tokyo. Freddie forgets some lyrics of Need Your Loving Tonight, as he had done a couple times previously. It's one of the few songs he'd ever have this kind of trouble with. The audience sing along with most of the songs - even the album tracks. They graciously cheer all of Brian's key guitar solos, and they chant his name while he plays the melodic interlude in Love Of My Life. A few outspoken shushers try to calm everyone down as they want to hear him play. They get their wish. 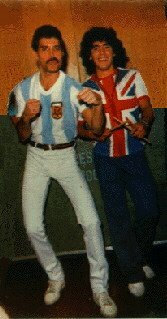 Earlier in the song the audience manage to stop the show for an entire minute, repeatedly chanting "Argentina! 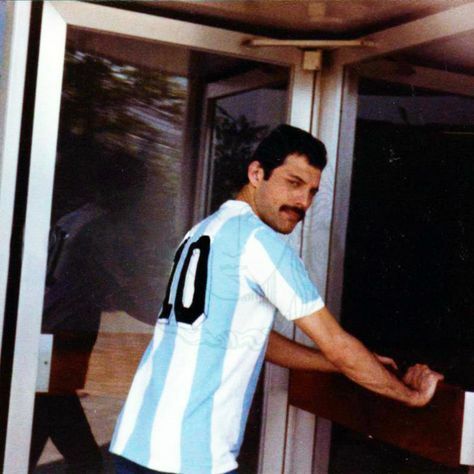 Argentina!" followed by "Queen! 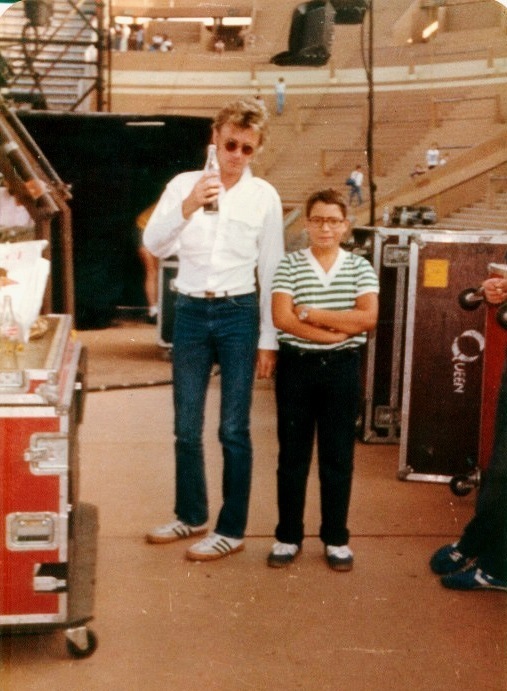 Queen!" 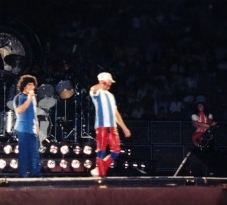 As seen in the fifth picture, Football phenomenon Diego Maradona comes on stage before Another One Bites The Dust. Freddie introduces him as "A friend of yours and ours," and adds "He's kinda cute, actually." 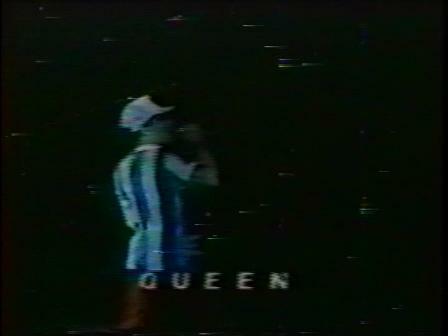 Freddie hands him the mic and he says a few words, thanking Freddie and Queen for making him and Argentina so happy. 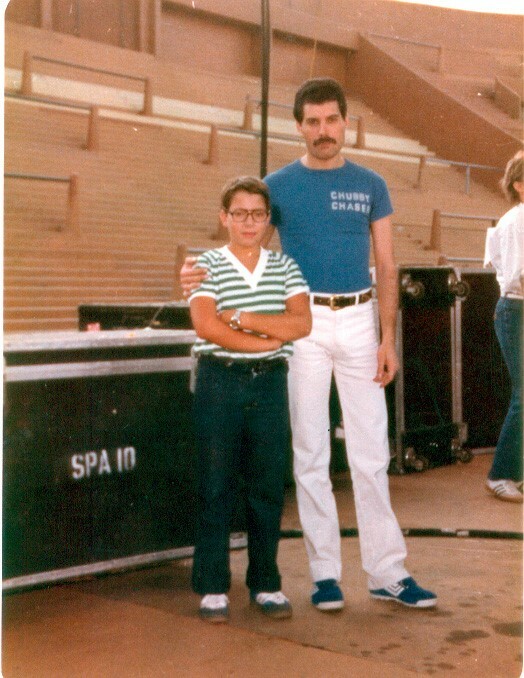 The pictures with him were taken before the show. 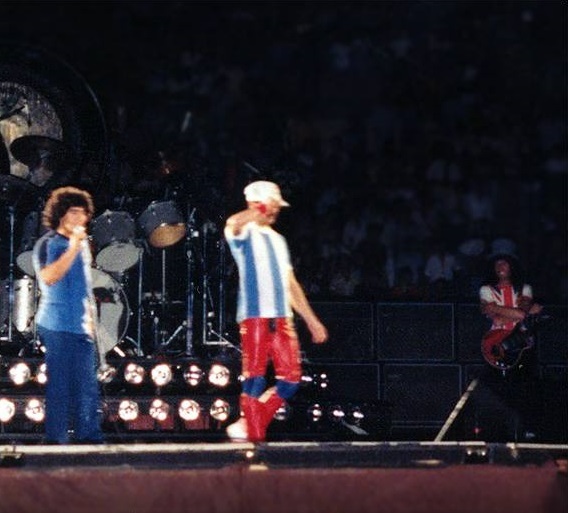 An article written about the tour states, "There were some tense moments before the beginning of the last concert at Velez Sarsfield. The stadium was crowded and there were people fighting for entering. Some of them fainted and needed medical assistance. The police had to cut the wire fence in order to help those people." The last picture is a screenshot of a TV report, filmed during Another One Bites The Dust. For years this video was mislabelled as being from the February 28 show. The Maradona introduction is seen as well. 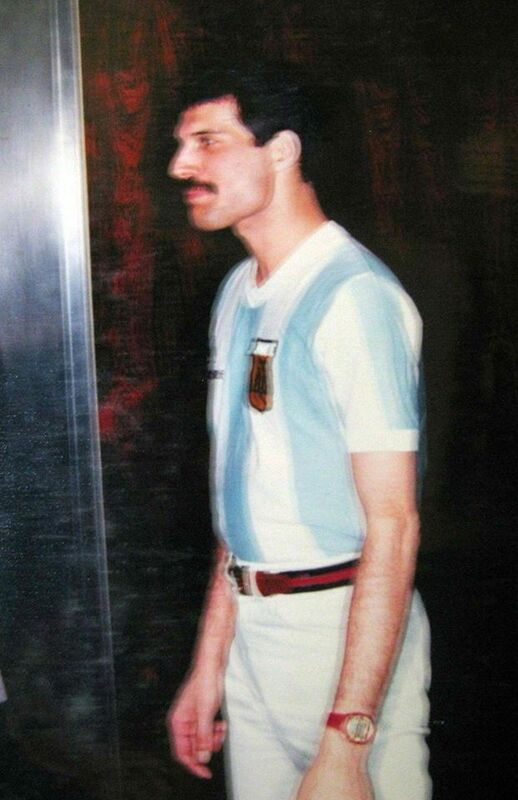 Freddie sporting the Argentinian football jersey was no doubt a one-time occurrence. 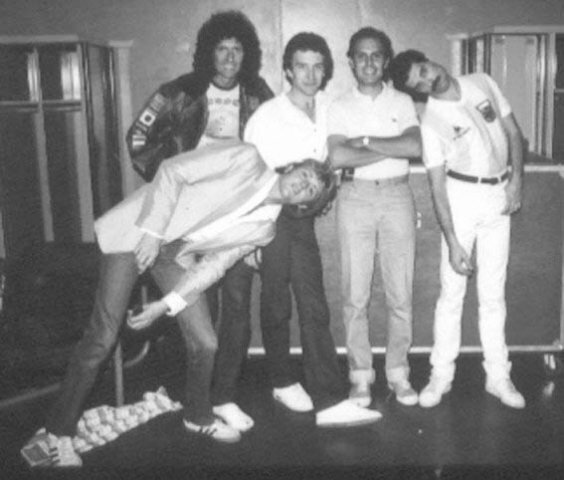 In an interview about a week later, John Deacon says they allowed more people to come onto the football pitch for this show, bringing the audience up to 55,000. He added that the atmosphere was "marvellous", and comparable to a football match, calling the audiences "tremendously enthusiastic." 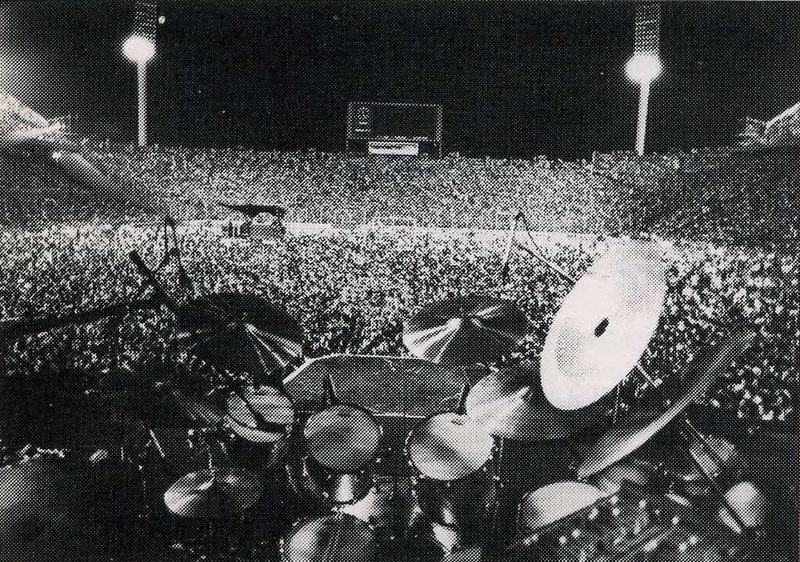 These five shows in Argentina saw the band play for about 200,000 people. 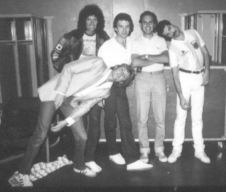 This show does not appear on the officially-released Rare Live video, despite its claims. The writer clearly isn't aware that the Cordoba and Porto Alegro shows had been cancelled and that the Brazilian shows were still to come. He also claims that Brian May is no innovator, obviously without the knowledge that the guitarist envisioned his portion of the Queen sound as a teenaged luthier making his own electric guitar. 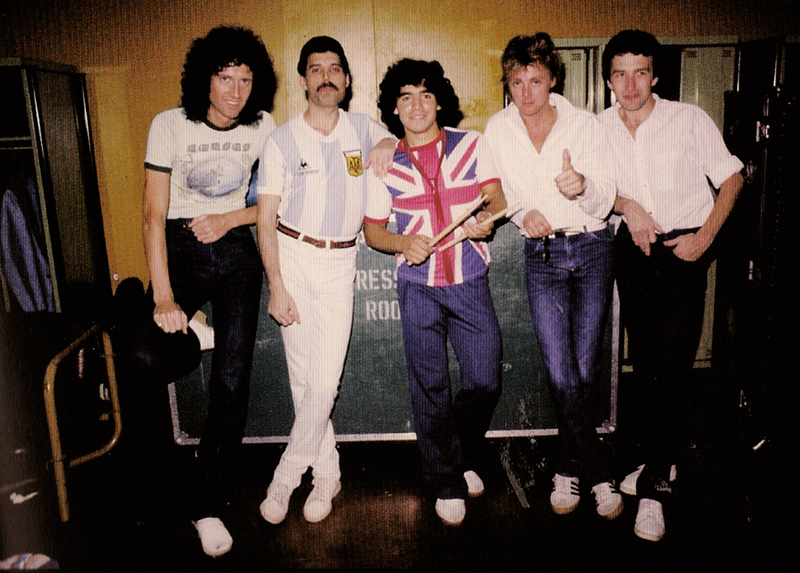 Amongst the more revealing quotes is this one from a tour promoter about the band's cultural impact: "For music in Argentina, this has been a case of before the war and after the war. 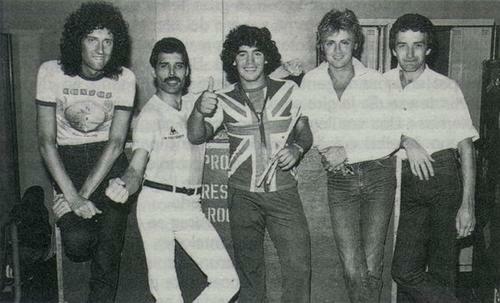 Queen have liberated this country, musically speaking." Several tapes of the live broadcast have turned up in varying quality, but even the best copies sound very dry since it was AM radio (very few stations in the country were FM around this time). The most interesting part of this recording is the commentator. 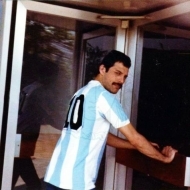 The excitement in his words between songs makes it sound more like a football match, especially when he reacts to Freddie introducing Maradona to the stage. 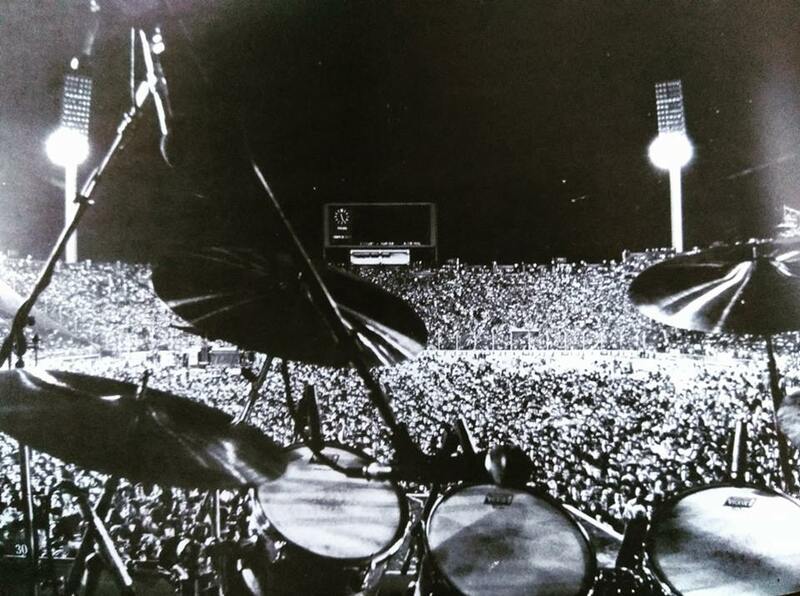 This audience recording epitomizes the atmosphere of these concerts in South America. The sheer excitement of fans near the stage is captured perfectly. The tone is set with them singing the chorus of the fast We Will Rock You unprompted before Mercury even begins the first verse. Some banter between songs is cut because the taper periodically pressed pause in efforts to save tape, which was effective because the tape runs out just before the end of We Are The Champions.